125 mg of Citrus aurantium herbal extract in one capsule, which represents a daily dose of 10 mg of synephrine. The added extract of the herb Citrus aurantium (8% synephrine) in this product supports the metabolism of fats. 125 mg of Citrus aurantium herbal extract in one capsule, which represents a daily dose of 10 mg of synephrine. The added extract of the herb Citrus aurantium (8% synephrine) in this product supports the metabolism of fats. Recommended use in the resting period of the day with no activity, as well as during physical activity. 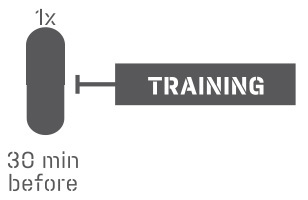 Recommended dosage: Take 1 capsule 30 minutes before physical performance. 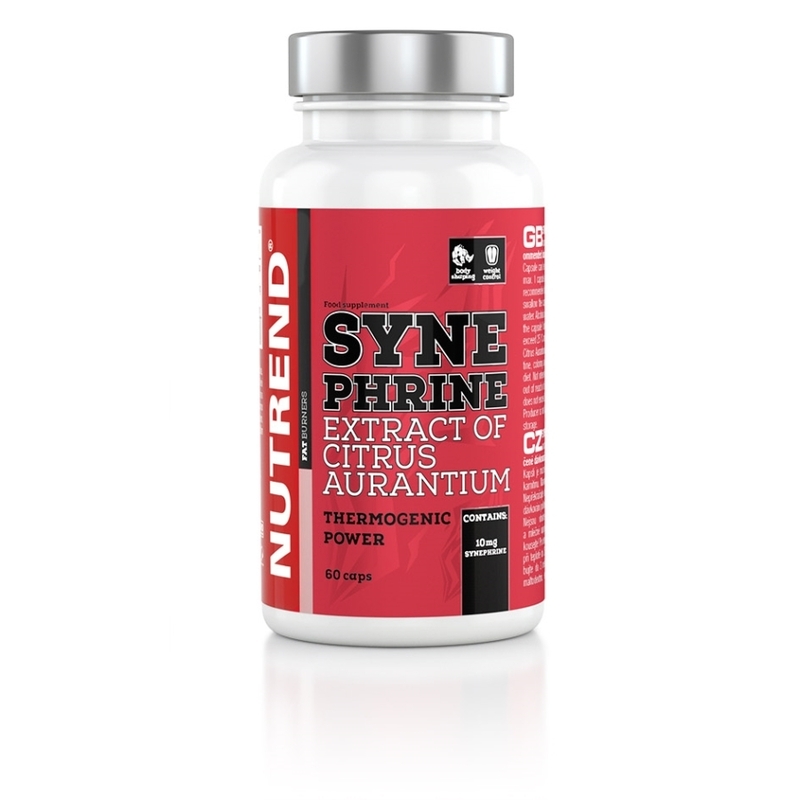 The capsule can be combined with products based on carnitine before the performance. Maximum of 1 capsule per day Do not take at bedtime. Do not exceed the recommended dosage. Use: according to the recommended dosage, swallow the capsule and wash down with a sufficient amount of water. Alcoholic and milk beverages are not suitable. Do not chew the capsule! Extract of Citrus aurantium that increases the energy expenditure. Does not replace a varied diet. Not intended for children, pregnant and nursing women. Keep out of reach of children! Store in a dry place at the temperature that does not exceed 25 °C and away from direct sunlight. Do not freeze. The producer is not liable for any damage caused by improper storage or use. SYNEPHRINE Ingredients: maltodextrin, Citrus aurantium extract (8% synephrine), gelatine capsule (gelatine, coloring agent titanium dioxide).